The Office of Sustainability provides leadership and direction for sustainability programs at WPI. The Office coordinates efforts across WPI’s administrative, academic, and facilities areas in order to reach WPI’s sustainability goals. The Office includes a Director, Associate Director, a group of dedicated student interns and WPI’s Sustainability Advisory Committee. 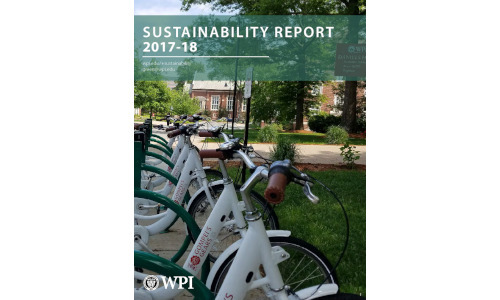 Each year the office issues an Annual Report documenting WPI’s current status with regard to sustainability aspects ranging from greenhouse gas emissions to energy research projects and community engagement. Through these efforts, we strive to position WPI as a leader in sustainability efforts on campus, in the Worcester community, and globally. For questions or comments please email green@wpi.edu. 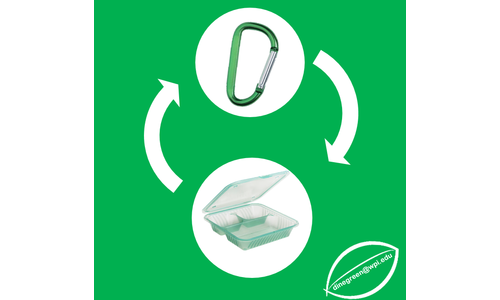 The Green2Go program attempts to reduce the single use waste generated by disposable containers in dining locations on campus. To learn more about recycling on campus, check out the recycling guidelines. 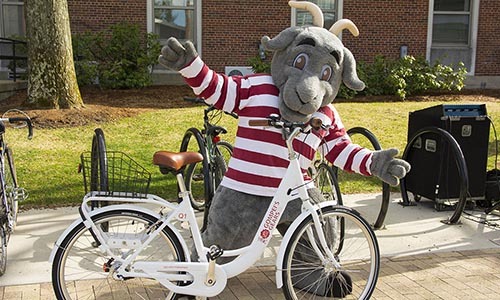 Gompei's Gears promotes the use of sustainable transportation with a free to use bike share program for WPI students. WPI’s GRF supports sustainability projects that will generate financial returns, reduce environmental impact or carbon emissions, enhance the academic climate, and engage the WPI community. 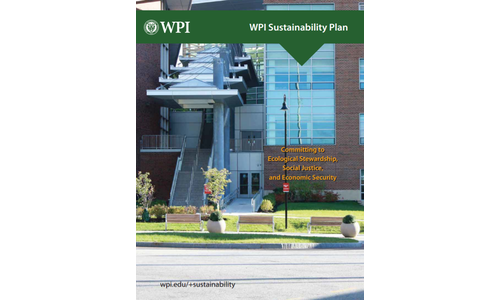 The WPI Sustainability Plan is an initiative launched by the WPI Task Force on Sustainability in the Spring of 2012. Our progress can be seen in the Annual Sustainability Reports listed on this page. WPI's Greenhouse Gas Reduction Plan commits us to a reduction in our gross Scope 1 and Scope 2 emissions for 20% from FY14 to FY25. A summary of the plan is here and the complete report is here. WPI is proud to announce that we have earned a STARS Gold rating! STARS, the Sustainability Tracking, Assessment & Rating System measures and encourages sustainability in all aspects of higher education. 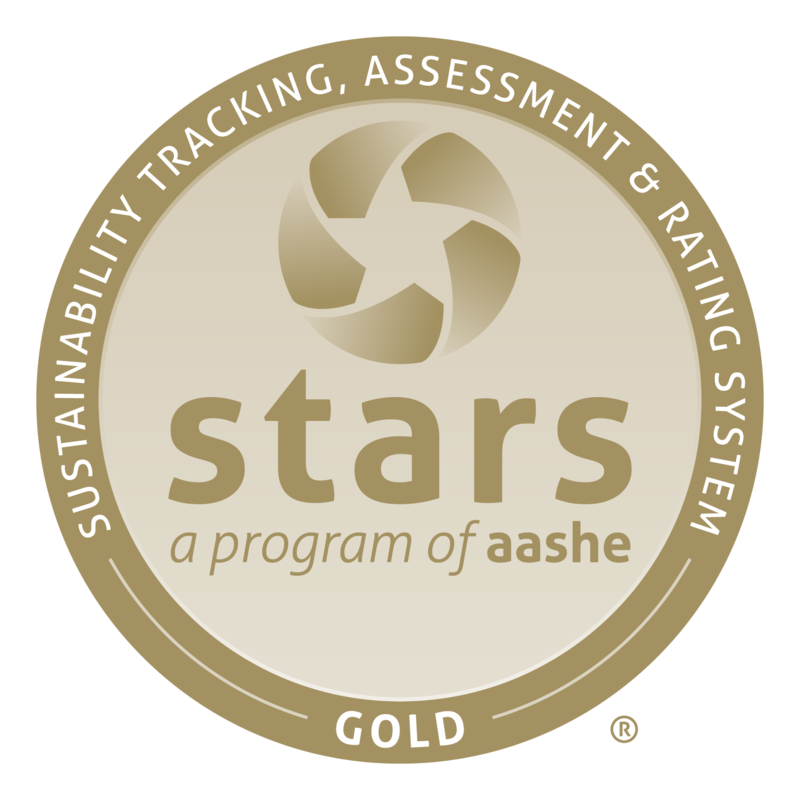 With more than 800 participants on six continents, AASHE’s STARS program is the most widely recognized framework in the world for publicly reporting comprehensive information related to a college or university’s sustainability performance. Participants report achievements in four overall areas: 1) academics, 2) engagement, 3) operations, and 4) planning and administration.